I've got 99 questions for the upcoming season of Keeping Up With The Kardashians and 98 of them are about the cast. The show's core will be returning, (thank goodness) as it just wouldn't be a show without Kris, Kim, Khloe, Kourtney, Kendall, and Kylie. But I want everyone on the show, at all times. I am still waiting to see if North and her impeccable style will be featured as more than just the occasional glimpse, but there is one person I'm even more curious about. 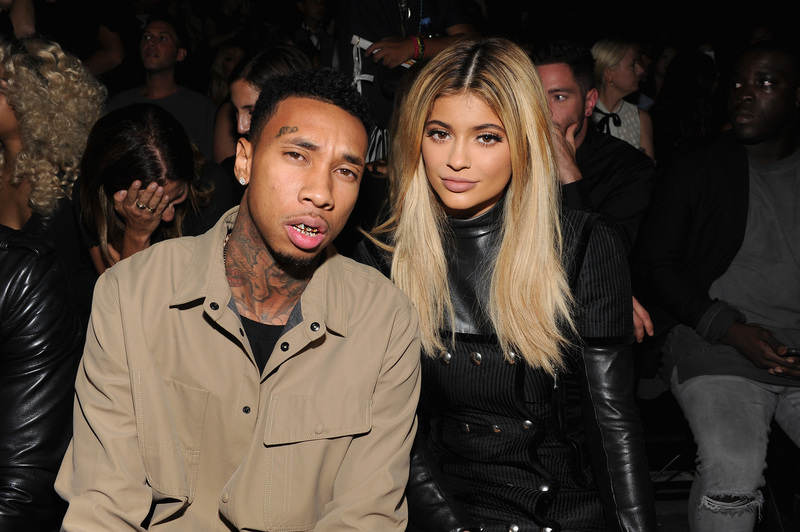 Will Tyga be on Keeping Up With The Kardashians this season? While nothing has been confirmed, there are a few clues that lead to me believe an appearance from the rapper is very likely. Recent weeks have made it clear that Tyga is a very big part of KUWTK star Kylie Jenner's life. She starred in his music video for "Stimulated," received a Ferrari from him for her birthday, and he pops up in her Snapchats. Since we know from trailers that Kylie will be featured on the E! series as usual, it isn't so far-fetched to think some of these moments will be shown in Season 10. Here's why I think KUWTK fans will also be keeping up with Tyga this season. Kylie and Tyga have been spending more time together in public, and if he was going to stay off of the show, they probably would have done a better job of hiding from cameras. Tyga is no stranger to cameras, and already stars on MTV's Kingin' With Tyga. Adding another show — especially one as high profile as KUWTK — would be a pretty smart career movie for the rapper. The benefits work both ways. Kanye West's appearances on the show are very limited, and it's still unclear if Rob Kardashian or Scott Disick will be featured in Season 10B. Adding Tyga into the show would spice it up and give it a new energy. Having Tyga on the show would obviously be a huge deal. So, why not officially announce his appearance? The same reason why the family or E! would want to stay tight-lipped about a pregnancy, break-up, or any other big moment: To save it for the cameras and flaunt that drama. While these reports come from unverified sources and nothing has been confirmed, many outlets have been reporting that Tyga is in this season. Radar Online claims that Tyga will be a major part of the season, and though you shouldn't put much stock in these reports, I also wouldn't be too surprised if he pops up on KUWTK.